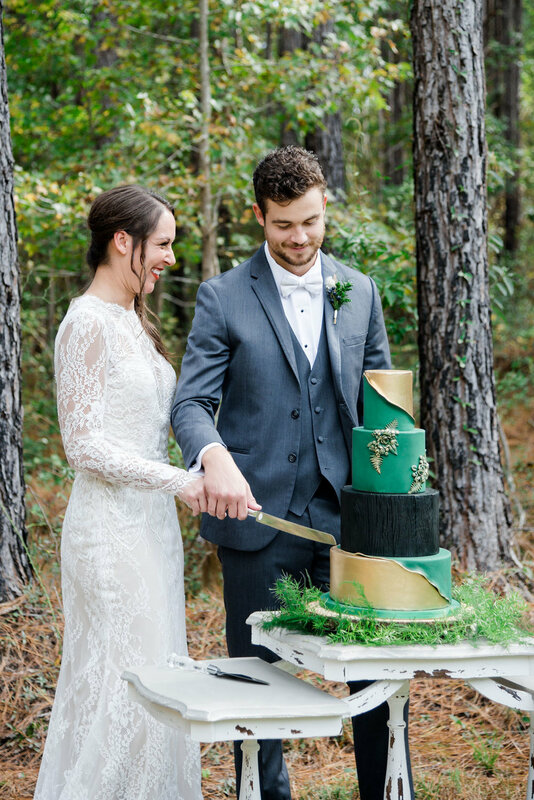 The shoot embraced the evergreens at the private property, highlighting them with deep emerald and gold accents on everything from the table setting to the cake. 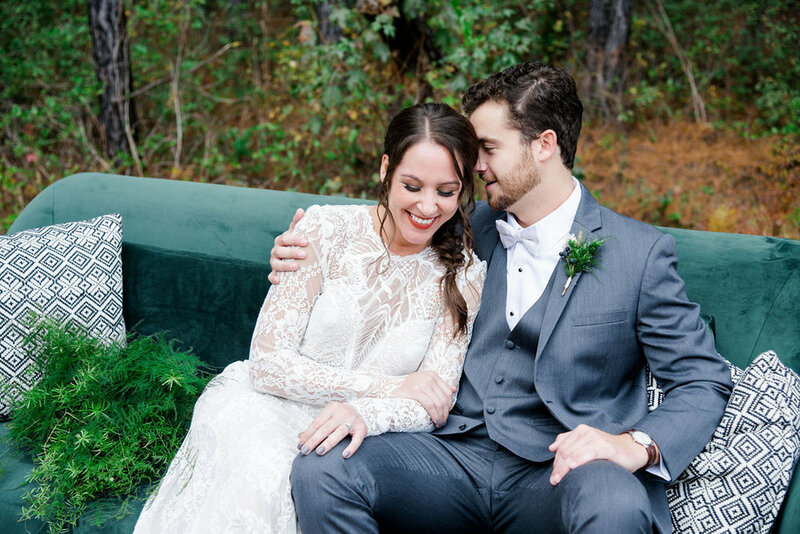 This trendy boho take on winter weddings was on point with metallic elements, a casual feel, a macrame ceremony backdrop, and a vision that embraced—rather than conflicted with—the serene natural surroundings. 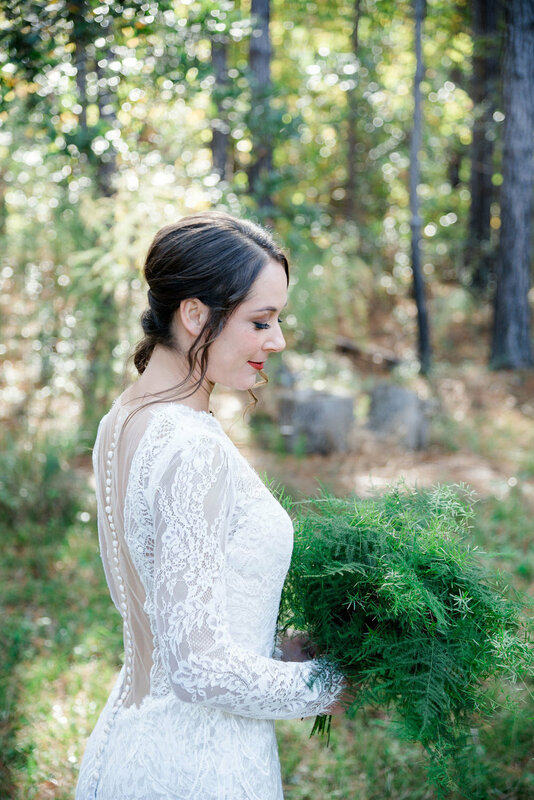 The bride’s hair was styled in a loose but romantic updo, which worked beautifully with the all-greenery bouquet and lacy bridal gown. 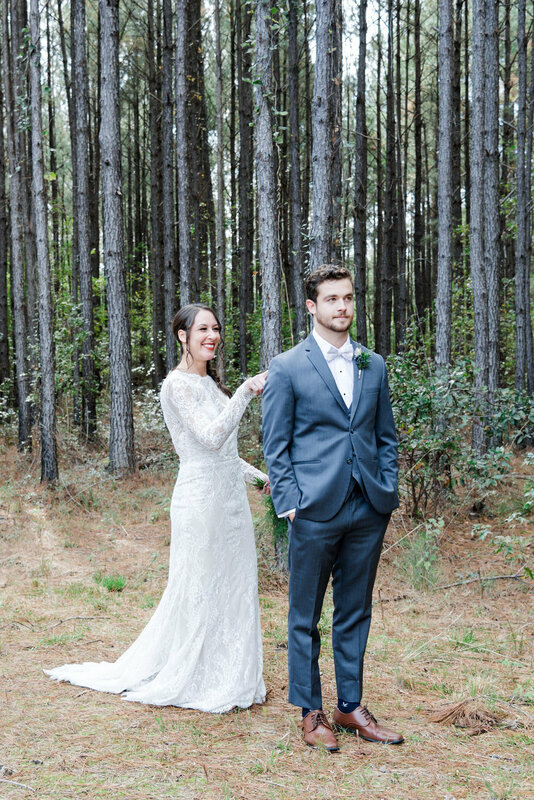 The groom was dressed in a dapper grey suit, coordinating white bowtie, and all-greenery boutonniere. 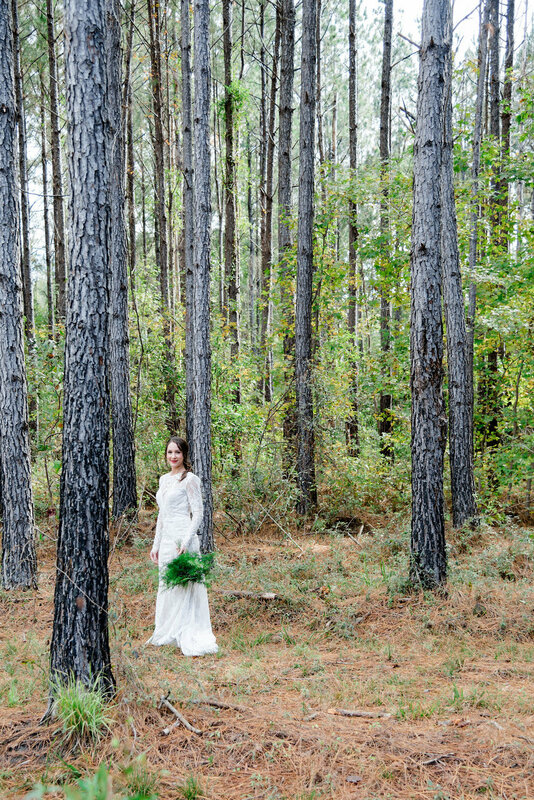 With a winter wonderland wedding like this one, you’ll be glad we don’t get much typical winter wedding in the Palmetto State!